A Virginia man was sentenced to four life terms Monday for brutally attacking a husband and wife in their 50s as they took their morning walk in Loudoun County. The attack more than seven years ago, in 2009, killed William Bennett. His wife, Cynthia Bennett, survived serious injuries. Anthony Roberts, 26, pleaded guilty Monday morning. Prosecutors agreed to drop the prospect of the death penalty in exchange for Roberts' guilty plea to four of the charges he faced, including capital murder. 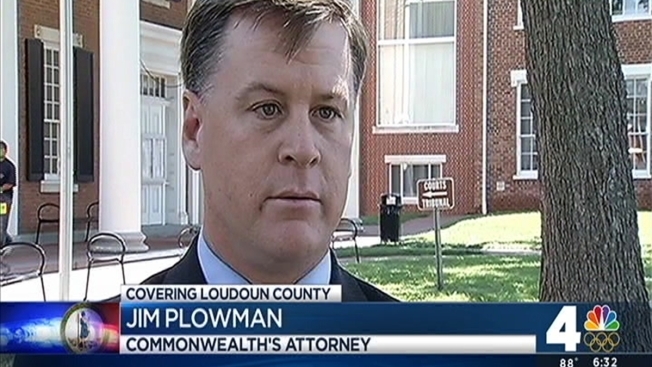 A death penalty case would have lasted for years, Commonwealth's Attorney Jim Plowman said. Cynthia Bennett and her daughter Samantha could not bear to see the case -- the third of three cases in the crime -- drag out any longer, the prosecutor said. "They were at a point where they needed the closure," Plowman said. "They'd endured enough. They'd endured too much and they wanted it over." The Bennetts were walking on a quiet street in Lansdowne, Virginia, near dawn the morning of March 22, 2009, when two men got out of a white van and approached them, according to court documents filed Monday. Roberts, then 20, saw the Bennetts and said, "F--- it. Let's rob them," the documents say. He and Darwin Bowman, then 18, got out of the car. A 17-year-old boy, Jaime Ayala, stayed in the car. Roberts punched, kicked and stomped on William Bennett, 57, until he died. Bowman chased Cynthia Bennett and beat her. Roberts then joined him in beating her, and she was sexually assaulted, the court documents say. The trio drove off with William Bennett's wallet, leaving the Bennetts for dead. They returned to the area about 10 minutes later to move Cynthia Bennett further from the road and to collect evidence, which they burned, court documents say. William Bennett's body was found, and Cynthia Bennett was rushed to a hospital via helicopter. She suffered permanent injuries to her face, head and lower body, and must walk with a cane. The crime "shattered our lives," the Bennetts' daughter Samantha said in the courtroom Monday. Roberts apologized in court but said he had been a victim too -- of a bad childhood. He faced Cynthia and Samantha Bennett as he spoke. "I apologize for taking y'all's family and y'all's happy home," he said. "But I'm somebody's child too. I made mistakes too." Roberts said he had been "man enough to take responsibility." In a loud voice, he continued: "I took your father and your husband from you ... My father was stripped from me as a child. I had to learn to be a man on my own. I had to take to the streets." At that point, crying, Samantha Bennett spoke. The judge imposed the maximum punishment, four life sentences without parole. "Mr. Roberts is going to add his mugshot to the array of monsters, of people who commit monstrous acts," he said. Ayala pleaded guilty in Feb. 2011 and was sentenced to life in prison. Bowman pleaded guilty in 2013 and received a 43-year term.